Home → Miscellaneous Marketing → TRUE Brands – Part 1, True Brands Just Start the Journey. TRUE Brands – Part 1, True Brands Just Start the Journey. This post is the first in a series of four, outlining my definition of TRUE Branding. TRUE is an acronym for True, Relevant, Unique and Engaging, and applies to my rules for successful branding. 1. TRUE Brands – Part 1, True Brands Just Start the Journey. 2. TRUE Brands – Part 2, It’s Not You, Really. 3. TRUE Brands – Part 3, How Do You Scare a Brand with a Cold? Unique Up On It! 4. TRUE Brands – Part 4, Conversation is So… Engaging. Tell the truth. My parents told me this. My teachers, from pre-K to college, drummed this into my head. Tell the truth. Sounds simple, doesn’t it? Then how come it’s so hard for companies to be truthful about their brand? Well, my simple answer is, they’re not being true to themselves and are lost. Either, they’ve tried so hard to “be something” when they grow up that they’ve forgotten who they were when they started the journey; or, they’re trying too hard to be what they’re not (or can’t be). Whether you’re a small, start-up business or a Fortune 500 company, if your brand isn’t based on truth, then you’ll soon see discrepancies in customer perception, in communication, in retention of clients and employees, and eventually, in the bottom line. Loosely derived from the 5W’s of investigative journalism, these are the base questions that need to be asked in the review or development of your brand. These questions need to be answered (honestly) by everyone in your company – from the CEO to the Receptionist. And if you’re both, then the process will be quicker, but not any easier. Once these questions have been answered, and you have a “snapshot” of your company, then compare it to your brand. Do they match? Can you honestly say you’re being true to your brand – to your customers? Can you move on to how your brand relates to your market (Relevance), or do you need to re-assess the course’s starting point, or maybe even the final destination? 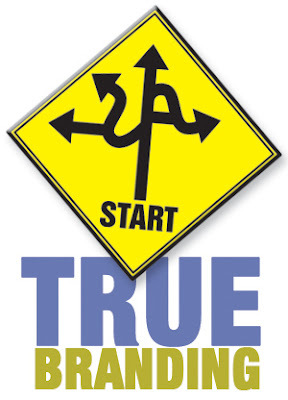 Just like North on a compass, truth establishes the direction (and the tone) of your journey. Truth in your brand should be the first step of a long journey. Once you’ve based your brand on the truth, then you’ll be ready to review how your brand relates to your market. Excellent series! Thanks for sharing your vision with us! Thank you, Drew. It’s great to have you stop by. I appreciate the input.